Recently, I am focusing on South-Eastern Asia cuisine or Malay food, to be more specific. I have this deep crush on sambal chili sauce. I have banana leaf and fish in my fridge. So I decided to try this dish. I watched many video on cooking sambal fish. And most of them make fresh sambal chili sauce. I am being lazy here. I just chose sambal bought from NTUC. Place a big banana leaf on the table. In the middle of it, spread some sambal sauce. Then place fish fillet over the sauce. Spread some another sambal sauce on the top. 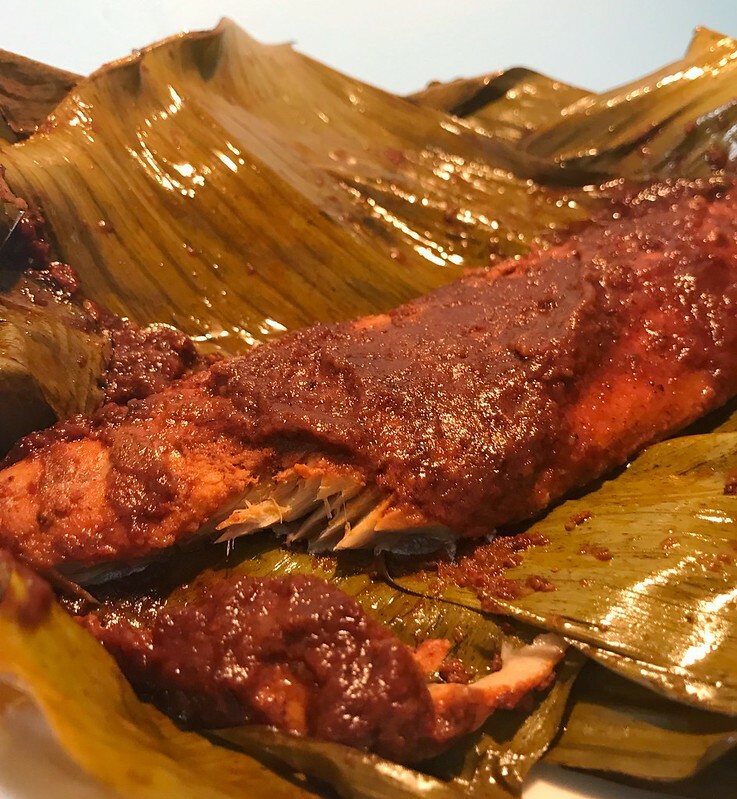 Wrap the fish with banana leaf. Then wrap them with a parchment paper. In to the oven. 200 degree and 20 mins. 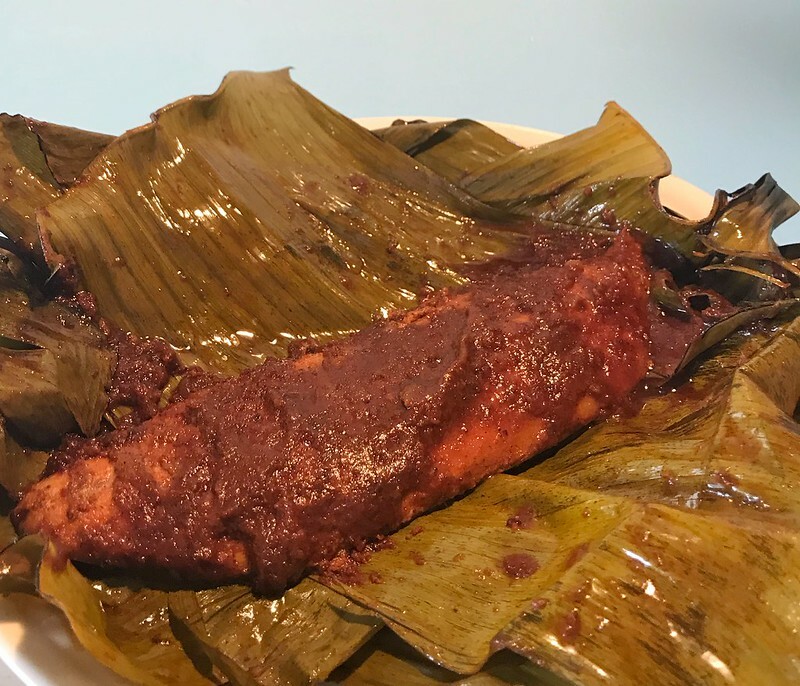 Very nice and lazy version of sambal fish. I love it.